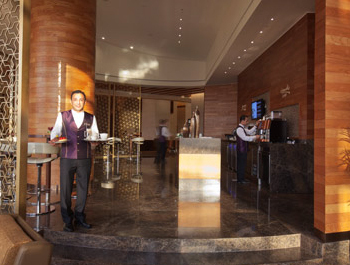 A Lobby Lounge where you can enjoy your coffee, mocktail or a delicious homemade pastry with friends and family, anytime of the day. 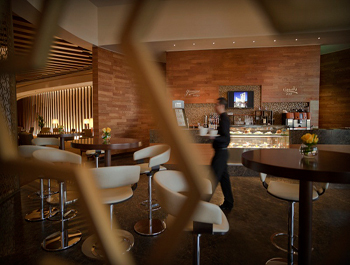 Fascinatingly beauty is the ambience of our Yasmine Lounge, elegantly portraying the splendor of the elements. Decorative marble tiles add a soothing glow to its aura. Relishing morning breakfast basket, with freshly baked crisp croissants, Danish pastries and Arabic morning bakery add to the experience. 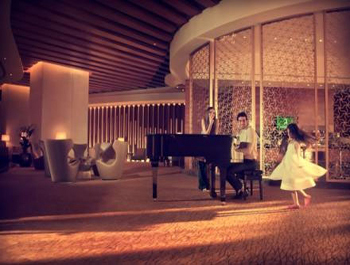 A wide selection of individual cakes and whole cakes will sweeten your time at this welcoming lounge and the evening will be charmed with live piano music. It’s all about up-market elegance and moderate prices for a satisfying indulgence.